Kanakia Spaces Developer is back with a new project "Kanakia Zen World" and is situated in the location of Kanjurmarg East. 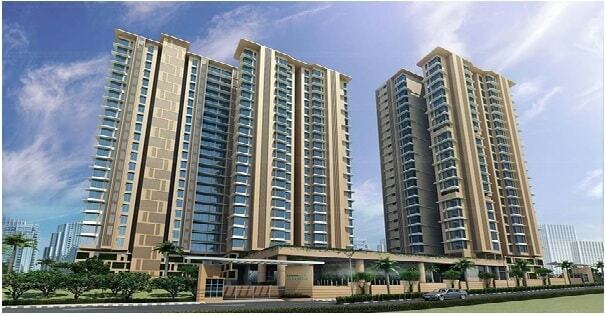 Kanakia Zen World is a complex of 1BHK, 2BHK, 3BHK Flats to choose from 414 sq.ft - 928 sq.ft of area. Each and every apartment is carefully chosen with features and facilities. Kanakia Zen World launching with 6 residential towers with base+Stilt+22 Storey elevation plan. The apartments offer good space that will satisfy one's needs and requirements. It is the greenest neighbourhood of Mumbai with acres of beautifully landscaped gardens. Zen World project by Kanakia Spaces Realty Private Limited is spread over 2.5 acres, this development contains 2 premium high-rise towers (G +21) that are filled with beauty and comfort from head to toe. This development offers lavish variants of 1BHK, 2BHK and 3BHK theme-based apartments with carpet areas starting at 414 sq. ft. and going up to 928 sq. ft. Zen World Kanakia brings its residents closer to nature like never before. "Zen World" is a meticulous plan comprises of 1 BHK, 2 BHK and 3 BHK Apartments. Situating at a central suburb in Mumbai, Kanjurmarg Zen World Kanakia is easily accessible to key locations through Western Express Highway, LBS Marg, Eastern Freeway, JVLR and SCLR within a few minutes’ drive. Kanakia Zen World comes in close proximity to several places like schools, colleges, malls, shopping centres, cinemas, supermarkets, cafes, restaurants, medical centres, ATMs, banks, all kinds of public transport, highways, etc. Zen World location gives convenient access to several places is something one can surely expect. Kanakia builder is well-known developer of Mumbai who develops dozens of residential as well as a commercial tower with good time delivery. The group has delivered more than 8 million sq.ft. of residential and commercial projects. Company has over 5 million sq. ft. of space under various stages of development country wide.Kanakia Spaces are an endeavour of a group of experts who have come together with their vast experience and knowledge of large infrastructural projects. Kanakia Spaces provide high quality services to meet the needs of its buyers/investors. Zen World project location is at Datar Colony, Kanjurmarg East, Mumbai. Zen World has a lot to offer in terms of luxury and comfort. The apartments contain modern-day fittings and furnishings, elegant doors and windows, high-quality floorings, well-spaced rooms, stylish kitchens and more. The wide range of external amenities is keen on offering rock climbing wall to a star gazing deck, the list just goes on.With long lasting and Eco friendly paints in every apartment, kid’s play area, advanced security systems, club house, Amphitheatre and all the finest amenities within the home. Schools: - Kendriya Vidyalay, IES Kindergarten, St. Xavier’s High School & Junior College, IDUBS High School & Junior College. Hospitals: - Sai Samruddhi Hospital, Arogyam Hospital, Yashwant Hospital, Disha Hospital. Restaurants: - Hotel Ravi Raj, Cafe Coffee Day, The Big Burger, Laxmi Restaurant, KFC. Banks/ ATMs: - Axis Bank ATM,HDFC Bank ATM, Canara Bank, Union Bank of India, Punjab National Bank ATM. Bus Stops : - Gandhi Nagar bus stop, Tagore Nagar Junction, Siba Company bus stop. Railway Stations: - Kanjur Marg Railway Station, Vikhroli RailwayStation, Bhandup Railway Station. Shopping Malls: - Shah Shopping Centre, Metro Mall, Amway Store. Movie Theatres: - Carnival Cinema, Cinipolis Neptune, Cinema Ground.